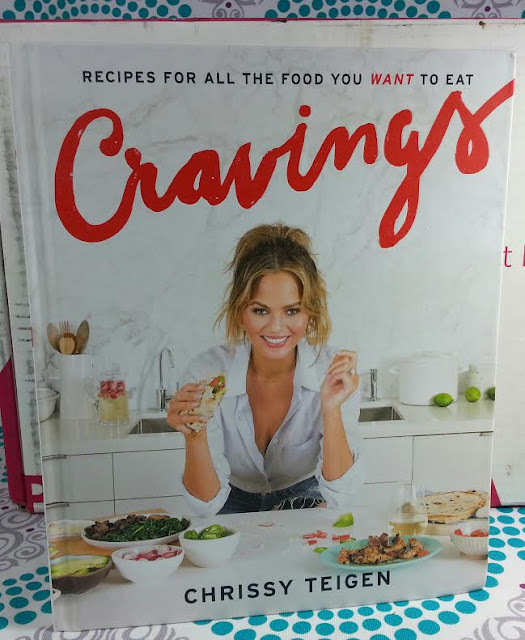 Cravings Cookbook by Chrissy Teigen- I wasn't too sure about this cookbook because the author is a swimsuit model, how could she know anything about cooking the kind of food I'd be interested in. The only thing I know about her is she's married to John Legend. Instead, this is a cookbook with an incredibly wide array of meals you can actually cook. With things you find in your kitchen. 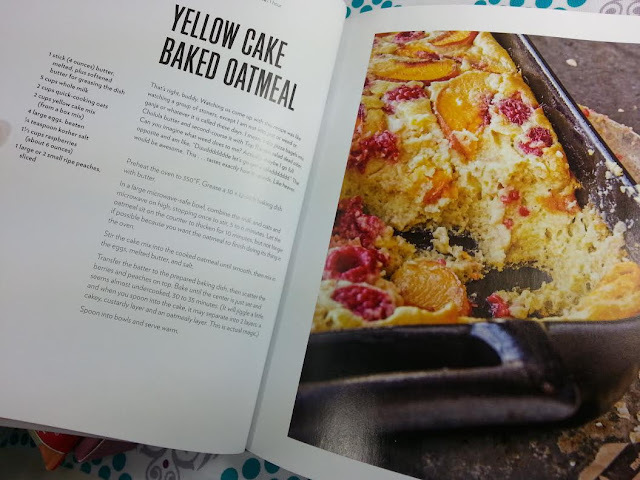 I never like cookbooks that call for ingredients you have to hunt down or go to a special store to find. The one astonishing (or maybe not, she is a model) thing is there is no dessert! I don't mind because dessert is not really my thing but I'm totally making some of these meals. This cookbook is great! Canvas Home Tinware Salt and Pepper Shakers- When I said you get interesting things in this box, I wasn't kidding. Salt and pepper shakers are a little out of the ordinary, if I may say so. 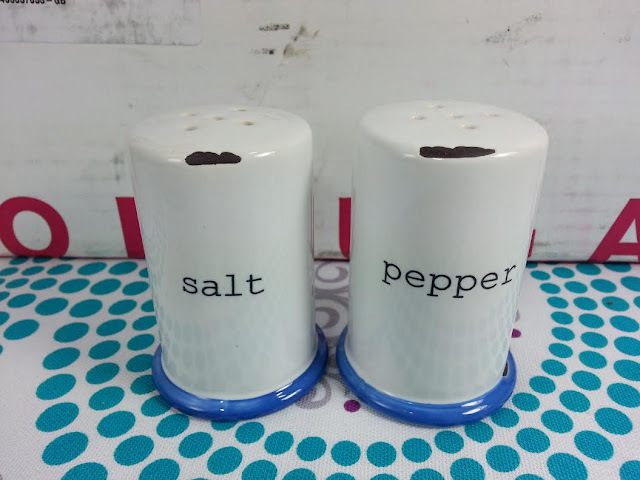 We don't normally use shakers because we grind our salt and pepper but these are too cute to put away. I love the fake been-around-forever-in-grandma's-cabinet look. Noon Designs Shop "Lemons" Flour Sack Tea Towel- Hi, my name is Sarah and I'm a tea towel addict. I am. It's true. I *love* tea towels. But I'm also picky and they have to be made from the right kind of material. Flour sack is the top of my tea towel textile list! The lemon design is cute and not like anything I have. Maybe it will inspire me to consolidate my tea towels, getting rid of the well used, unsightly ones. 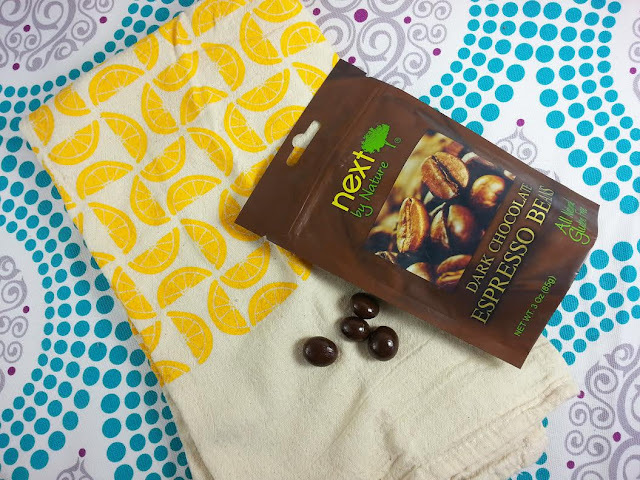 Next by Nature Dark Chocolate Covered Espresso Beans- Ohh, yeah! Dark chocolate! I'm happy to see they're dark chocolate covered because it seems we get a lot of milk chocolate which I don't like (too sweet). These are little beans with a pretty thick coating of chocolate over them. They're delicious! 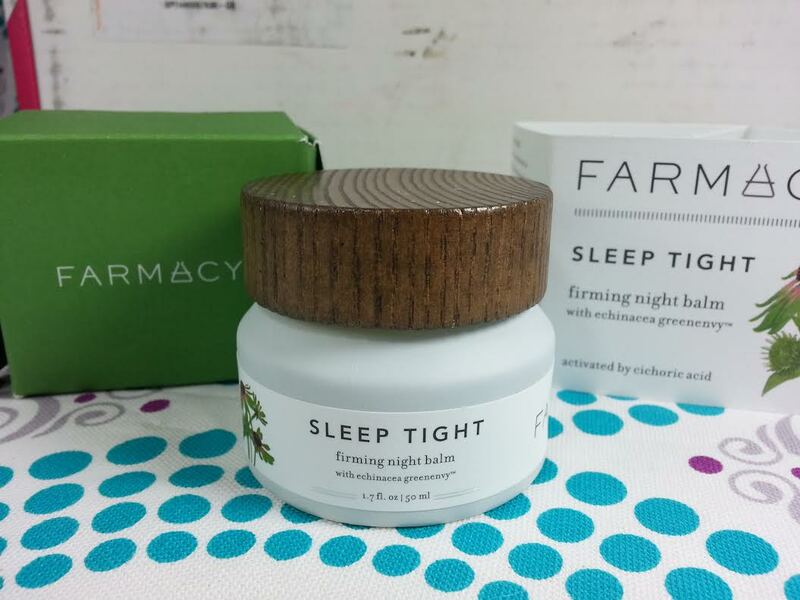 Farmacy Sleep Tight Firming Night Balm- The Popsugar Mini had a Farmacy Lip Balm and this must be what is meant when the two boxes will have "different but complimentary" products. This is a full size product, gloriously packaged and... in a jar. Granted the jar is adorable but I just am not a fan of dipping my finger in jars. Yeah, yeah, use a spatula. No. Those get lost, gross and you're just putting your finger on it anyway so the next time it goes in the jar, in go your germs! Unless you wash it. It doesn't seem like it would be that hard to make moisturizers as pumps. But not everyone is like me (marketers everywhere rejoice) so this won't phase them and they'll be loving this moisturizing goodness. 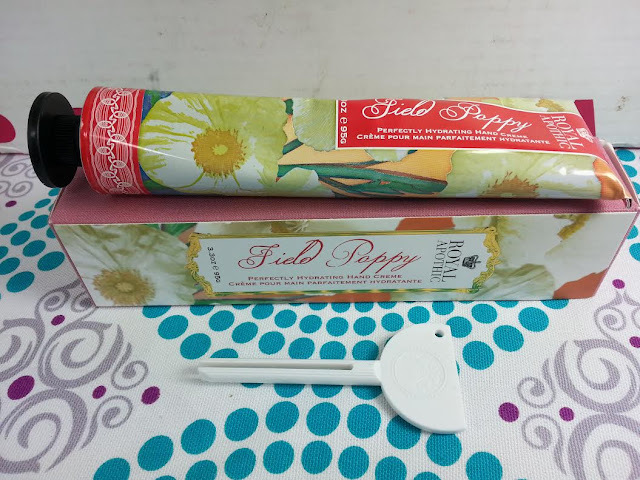 Royal Apothic Field Poppy Conservatories Hand Cream- Royal Apothic has been making it's rounds in subscription boxes. This is different than anything else I've received, though. One of the best (probably THE best) things about Royal Apothic is their adorable packaging. This packaging is cloth covered. It's some kind of fabric-y material and it's pretty. Inside the box is a huge tube of hand cream and a weird little white stickula thing. I made up that word. Stick and spatula. :D I *think* it's to use like a key (remember Spam?) to roll up the tube of hand creme as you use it up. Someone correct me if I'm wrong, I've never seen one of these before. 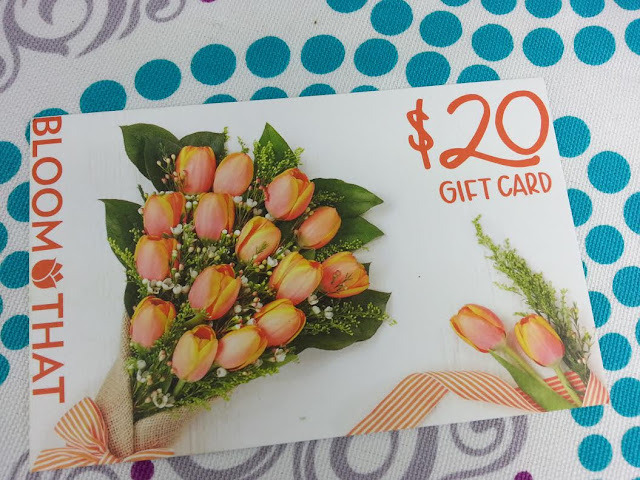 Bloom That $20 Gift Card- This is $20 to Bloom That, a floral delivery market. Send yourself or someone else some flowers! No minimum purchase required. VERDICT: I'm not sure if my box was gigantic because they ran out of the correct size or if the new size is actually this big. Either way, it was pretty poorly packed, rattling around all over the place when I picked it up. However, everything inside was perfect and unharmed. I think I like the old logo better but whatevs! I really like the contents of this box. It makes me want to have a picnic or a garden party or something. I've been looking at the cookbook more and it's definitely something I'll be using. So many tasty things! Of course if you have diet restrictions, it probably won't be that helpful for expanding your mealtimes but it would be great for bringing party food that everyone devours. 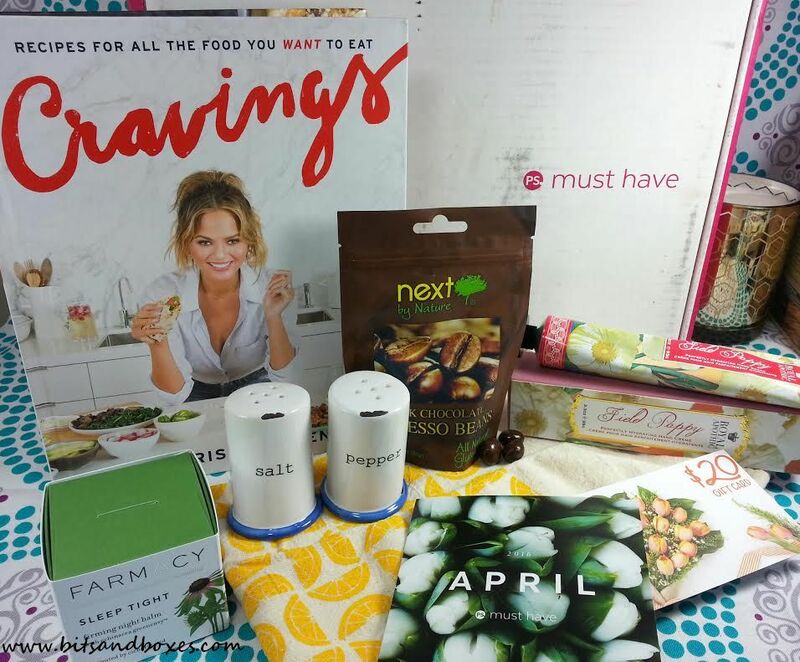 If you would like to sign up for your own Popsugar Must Have box, you can do that right here! Use code REFER5 or MUSTHAVE5 for $5 off your first box! What did you think of this month's contents? Or the cookbook-- do you think you'll use it?